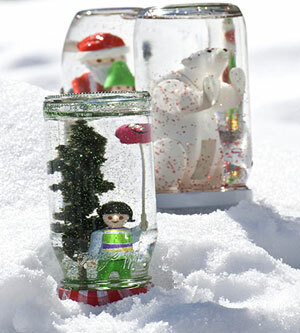 Use strong glue to attach a plastic toy to the inside of a jar lid, then add baby oil and glitter for a homemade snow globe. 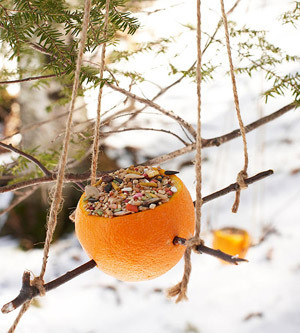 Hollow out an orange and fill it with seeds to feed your feathered friends. 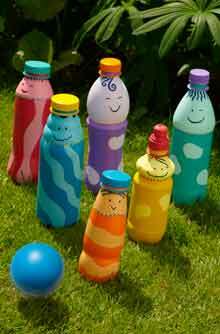 Decorate plastic bottles and fill a quarter of each bottle with sand – this will ensure they stay standing, before you knock them down. Use a beach-ball or a football. Marshmallow grabber! How many can you pick up with chopsticks? Put a pile of marshmallows in the middle of the table and give yourself a minute to pick up as many as you can – one by one. 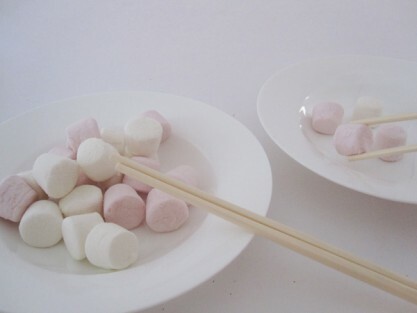 Make them mini-marshmallows to make it more of a challenge. Such a simple idea, but so effective! Grab some white paper and draw your picture with a white crayon. 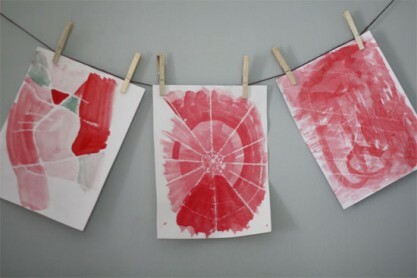 Then paint over it with watercolour paint and your drawing will appear like magic!